Giddlewick comprises a stylish, detached, family house of immense character and charm, originally constructed by the well renowned local developer Kirrin Homes Limited for the current vendors. 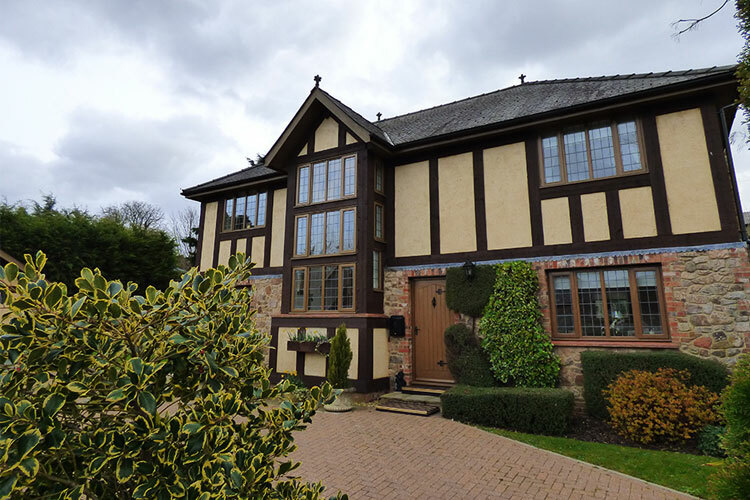 The property has been well maintained and enhanced to provide comfortable, spacious and well appointed family accommodation, briefly offering entrance hall leading to most impressive, spacious reception area with a galleried landing. A sweeping staircase with full height window to front elevation and giving access to the principal reception rooms. The attractive drawing room has an inglenook fireplace with double doors to the garden room with French doors leading to the sun terrace. There is a useful study/family room and to the rear a large, impressive bay fronted dining room with views to the garden. The kitchen is particularly attractive, having been extensively altered and updated by the current vendors and boasts a substantial range of good quality storage units along with high quality built-in appliances. There is also a glazed conservatory leading off the kitchen. To the first floor, a spacious master bedroom suite with spacious four piece bathroom with built-in storage and mirrors as well as three additional double bedrooms and principal bathroom. Giddlewick stands in its own attractive, mature gardens. To the front, it is devoted mainly to parking with access via the five bar gate and giving access to the detached double garage. The gardens are otherwise laid extensively to lawn with rear sun terrace, mature trees and shrubs.